Since I've been at CalHFA I've had several opportunities to get out and about, to meet with our business partners and customers and hear about your current challenges and opportunities. It is my hope that you will continue to see CalHFA as a partner in helping you succeed in assisting Californians with their housing needs. Families may be looking for that additional assistance to purchase a home. Business partners may be in need of a loan package that makes sense for a client, or a product that will finalize the financing of an affordable housing development. Cities and counties may be seeking ideas on how to maximize their limited resources. We want to hear from you, so our team here at CalHFA can partner with you on our new lending programs to meet your affordable housing needs. I'm also excited to welcome Don Cavier, formerly of the Sacramento Housing and Redevelopment Agency, on board as the new Chief Deputy Director. 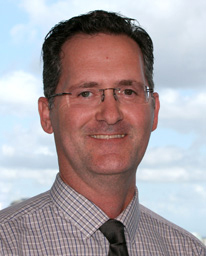 Don's strong background in lending and affordable housing finance will truly be an asset to our management team. Please take a moment to look at some of the things we've been doing recently. I'm looking forward to working with all of you this year to create more affordable California housing. Let's talk soon. CalHFA has significantly expanded its product offerings over the past several months. With recent research indicating the importance of down payment assistance, we have made that the centerpiece of our ongoing mission to help more Californians have a place to call home. Our current flagship program is the CalPLUS Conventional with ZIP Extra. This combines two down payment loans into one convenient package for borrowers who have good credit and a solid income. Borrowers can choose to either lower their costs at closing, or lower their monthly payments. We've put together a short video to show you how it works. We also can accommodate those who want the lower interest rate of an FHA loan. While the CalPLUS FHA with ZIP does not include quite as much assistance as the Conventional loan, it can still make sense for your borrowers. You can see which loan might work better with our Scenario Calculator, and you can even use the CalPLUS loans if you're not a first-time homebuyer. As winter sets in, you may also want to look at the CalHFA Energy Efficient Loan + Grant program, which can help new buyers make energy improvement to their home and roll the cost of those improvements into the amount of the mortgage. With traditional EEM loans, buyers borrow up to 5% of the first loan amount. At CalHFA, we've added an additional 4% as a grant—that's a lot of dual-pane windows and solar water heaters. All of the above can, of course, be combined with our workhorse down payment assistance program, CHDAP. This one adds a 3% down payment silent-second loan to first mortgage loans, and can even be used with non-CalHFA loans. We also have a program specifically for people who work in schools, whether they're teachers, maintenance staff or administrators. The Extra Credit Teacher Program loans up to $15,000 for those who work in California's High Priority schools, and if a buyer works for three years, the interest is completely forgiven: a zero-interest loan. Finally, we continue to disburse funds through the Mortgage Credit Certificate program, which gives homeowners a tax credit for mortgage interest they pay on their home loan. While it's not technically down payment assistance, it nonetheless is another way for homebuyers to make the most of their dollar. We are continuously working on improving both our products and our services to our single family business partners and borrowers. Keep your eyes on our website for more details, and you can always sign up for our eNews or follow us on social media to get the latest on what we're doing. 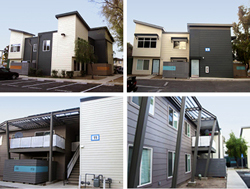 CalHFA continues to do our part to finance the preservation and modernization of affordable housing for Californians with low incomes, as evidenced by work being done on two apartment complexes in San Jose and Monrovia. The Bendorf Drive Apartments, formerly known as Villa San Pedro, are receiving a major facelift with CalHFA funding. Built in 1973, the 100-unit complex was in fair shape, but the owners decided that fair wasn't good enough. They'll be doing more than $14 million worth of work to upgrade both exteriors and interiors of the development. Bendorf Drive is a great candidate for upgrades, as its tenants use many of the local services. The complex is less than a quarter mile from a bus stop which serves light rail, and is less than a mile from the CalTrain station. In addition, there are all levels of public school within one mile; San Jose State University is just seven miles away. Upgrades will include new appliances, expansion of all units to two full bathrooms, new cabinets & countertops, ADA upgrades and other improvements. The owners, a consortium of groups, anticipates that these upgrades will result in at least a 15% increase in energy efficiency. The Housing Authority of the County of Santa Clara is the developer on the project, and is completing the project in five phases of 2-3 months each. Construction began in January of 2013, and groups of 20-25 residents are being housed offsite during each phase. The Regency Court apartments in Monrovia are getting a similar treatment, with more than $3 million in repairs and improvements scheduled to be finished by the end of the year. Many of the existing buildings' facades and exteriors have been completely redone, as seen in the pictures above. In addition, each unit will be improved with new energy efficient items and systems, including the installation of roof mounted solar panels and interior hydronic HVAC units. CalHFA is pleased to announce the appointment of Tiena Johnson-Hall to the CalHFA Board of Directors. 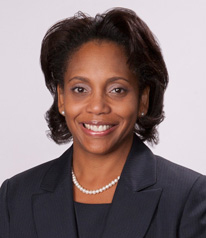 Ms. Johnson-Hall brings experience from the field of banking and expertise in lending. Her extensive career includes her current position at BBVA Compass Bancshares Inc. as the community relations officer for southern California. She served previously as vice president at U.S. Bank, senior vice president at Bank of America, and director of housing at the Los Angeles Housing and Community Investment Department. Ms. Johnson-Hall also values taking an active role in her community. 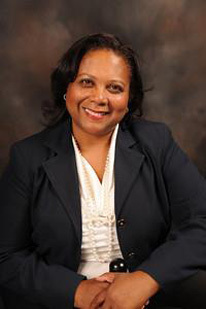 In addition to her board service at LINC Housing Corporation, she serves on the Board of Directors of the Los Angeles County Housing Development Corporation and serves as a mentor at Heritage Intermediate School for Emerging Young Leaders, a signature program of Alpha Kappa Alpha Sorority Incorporated, that provides leadership development, civic engagement, enhanced academic preparation and character building for middle-school aged girls. She has also taught affordable housing finance at the University of Southern California's Lusk Program in Real Estate Finance and School of Business, UCLA's Graduate School of Architecture and Urban Planning and in various workshops and conferences throughout Southern California. We look forward to Ms. Johnson-Hall's insights and leadership abilities being put to good use on the CalHFA board. a side benefit of focus groups. CalHFA is constantly working to improve its lending products and services to business partners. In early December, CalHFA convened focus groups in Long Beach and Sacramento to hear directly from loan officers and real estate agents about their concerns and suggestions. Participants were candid and vocal, and gave us lots of ideas about the best ways to communicate, things we can do to make their lives easier, and insights into what's going on in their businesses. We look forward to using the results of these groups to make our business better, and to convening more groups to look at other segments of what we do.